For several years now, I’ve been advocating for greater transparency in the diamond market. The call was general: transparency all along the diamond pipeline on all aspects of it. But I’ve focused specifically on transparency in pricing, the area where consumers are most confused. On a practical level, the issue of diamond pricing and the transparency of the pricing process is an area of outmost importance, because it is complicated, requires great skill, and has a huge impact on the confidence level consumers have in diamonds. Further, as I stated in my vision for the future of the diamond industry, pricing transparency also holds the key to diamonds as a possible asset for wealth preservation. Diamond pricing and valuation is something that takes place on every level of the diamond pipeline, and at nearly every stage of the diamond route from mining to finger. Rough diamonds are assessed as soon as they are mined, and are valuated again after the rough diamond sorting process – in itself a stage that exists for the purpose of discovering the value of rough diamonds. Rough diamond buyers consider the polished diamond value they can derive from the rough before buying it. These rough diamonds are valuated again at the polishing factories in the process of determining the best way to polish a diamond, in order to get the best value out of them. Once polished, they are certified to arrive at a more precise value estimate, and from here on they change hands and ownership, with value added and prices adjusted along the way – all the way until consumers buy them set in jewelry. When determining a diamond’s value, many factors come to play. Demand in the market, level of availability, how important it is for the buyer to buy a particular diamond or diamond parcel, payment terms, and even the confidence and level of familiarity the seller has in the buyer, all impact the price. These considerations are common in most markets and industry sectors, and anyone can understand them, at least in principle, if not in practice. Above all of these considerations, the price of a diamond is determined by its characteristics, and this is what eludes consumers. One of the 4Cs of diamonds, carat is the easiest to understand because everyone understands weight, but even here there is lack of knowledge – how many people know that a carat is a fifth of a gram? Probably even fewer than the number of people who know how to convert grams to ounces (1 gram equals 0.0353 ounces and one carat a fifth of that, 0.007 ounces). The additional basic 4Cs – cut, clarity and color – are each complicated. Adding the impact of irregularities further complicates matters, and requires a level of professionalism that consumers don’t have. This is precisely why price transparency is so important. With price transparency we simplify the process, and bring this information to the consumer. I’m not talking about a heavy-handed educational program that will make any consumer able to look at a polished diamond through a loupe and determine its clarity, but a level of transparency that is enough for the consumer to understand the impact the characteristics described above have on value. If you disclose to a buyer that a certain characteristic of a polished diamond means a two percent discount on the price, you are talking in a language that anyone who has ever bought anything can immediately understand. This explains the importance of transparency and location in the valuation of diamonds. The how of pricing a diamond takes into account changes in the market, as well as the characteristics of the diamond. In diamond-producing countries, there are valuators who assess diamonds for the government. Their role arises from an understanding that diamonds are a natural resource owned by the public, and miners should pay royalties for this natural resource. Government Diamond Valuators (GDV) are staffed by people who understand diamonds, and who have updated information on rough diamond prices by type of diamond, shape, color, etc. Another common way of assessing rough diamonds is by using a price book. Without going into too much depth, price books are an exhaustive list of rough diamonds by nearly every characteristic combination possible, with a price next to each. A rough diamond is given a value per carat by looking it up in the price book, which is updated on occasion. Obviously, there could be a whole host of issues about the methodology of these systems, especially in regard to how they relate to the price of the finished product as paid by the consumers. This is a crucial issue in my mind, because it poses the question of how the price is determined – by push or by pull, by the rough diamond sector of the diamond pipeline or by the consumers. I’ll elaborate on this in a minute. Polished diamond prices are often set with benchmark pricelists, which are based on high asking prices. Traders or gemological labs determine the characteristics of the polished diamond, and traders apply the benchmark. The traders then place a discount on the benchmark in a complicated manner that takes into account the irregularities, demand in the market, and some other factors, such as payment terms. But how do we accurately determine change in demand? How do we account for inventories on the retail level? How does consumer sentiment come into play here? To me, it seems that using a broad pricelist is a very vague system that makes it difficult to understand true value, primarily because it is disconnected from consumer prices. This brings me back to push versus pull: we learned many years ago that the diamond sector can no longer operate on the basis of supply determining how the market acts. It is a demand-driven market, and it is the consumer who determines which diamonds are purchased, and at what price. Retail may be the end of the chain in terms of supply, but it is the start of the chain in terms of how price and value are determined. Prices should ascend through the diamond pipeline from what consumers are willing to pay, through the midstream where diamonds are polished, up to the valuation of rough diamonds, not the other way around! Everyone in the diamond industry understands this, but not all of us are acting on it. We need to adapt to this market, not just in principal, but in action, which means that we acknowledge that consumers set the price. That is why I keep saying that price lists, price books, and valuation systems that are based on activity in part of the diamond pipeline and not on all of it are antiquated. Pricelists that take into account every stage of the diamond journey from mine to consumer must start with prices at the consumer level and reverse-engineer up the diamond pipeline. This is where a new pricing system comes into play. 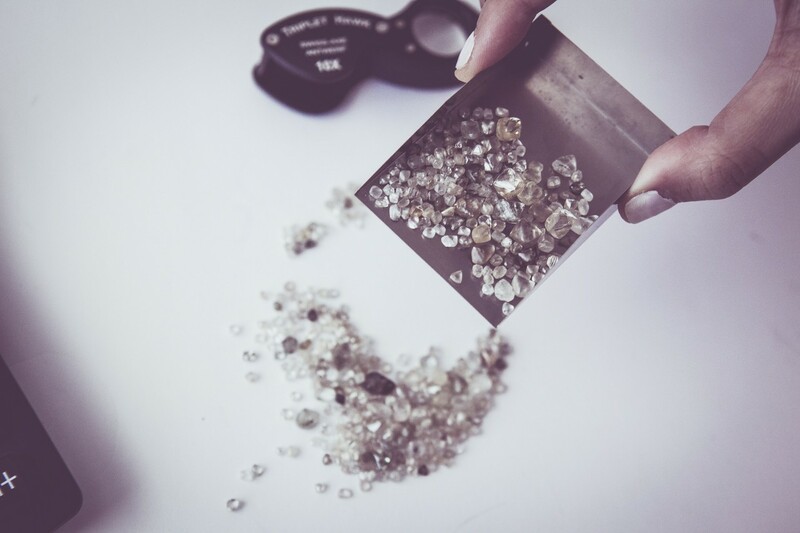 A pricelist that starts with transaction prices at the retail level, and then takes into account the various stages of the diamond processing and value-adding steps, all the way to rough diamonds. Such a system would streamline pricing, make it accurate, fully take into account manufacturing costs, and allow the entire diamond pipeline to align itself to the real flow of cash as it happens. · We developed a system that collects transaction prices from a wide range of manufacturers, traders and retailers, all of which reflect polished diamond prices as they are bought and sold around the world. · These many transactions are augmented by constant research in the market that backs, double checks, verifies and completes the transaction data. · The system covers more than 18,000 polished diamond categories across the 4Cs, covering polished diamonds weighing up to 30 carats with clarities ranging from Flawless to I3 in colors from D to P and in the various shapes. · The price list provides a price for a top stone without any irregularities. · There is a separate table of irregularities that provides the needed discount or premium to find the exact current price of any particular diamond. · The polished diamond pricing system was reviewed and validated by one of the Big Four accounting firms, and that firm continues to audit the price list monthly. · The pricing system is in the process of obtaining a patent in the United States. · Traders will not only find the current transaction price of each diamond, but by applying their manufacturing costs, they can also “reverse engineer” to calculate the cost of rough diamonds. Two key aspects that allow us to provide robust prices are comprehensive classification of diamond pricing factors, and innovative data collection and assessment. The system takes into account all factors that impact a diamond’s price, considering the 4Cs as well as comments and other irregularities. For example, an irregularity called “crystal” and its position in the diamond can create a considerable price difference between two diamonds that have identical 4Cs. A crystal at the center of a diamond is a reason for a discount to the price. A crystal in the culet (the sharp edge of the bottom of a diamond) can generate an even higher discount. We use these factors to empower our price list users – be they seasoned traders or first time diamond buying consumers. The other key aspect is that the system is fully automated and traceable. It gathers vast diamond market pricing data, real market transaction prices, from a wide variety of sources on like-for-like diamonds from precisely defined criteria, based on the 4Cs, an elaborated set of rules, and over 400 irregularities. It then uses a proprietary process of associations to evaluate the prices of other diamonds. It does this based on the established industry principle that price changes of certain diamonds are closely linked to price changes in similar stones. This ensures that we are fully aligned with real changes in the market, without falling into the pitfalls of market price anomalies, which happen from time to time. For a copy of the latest Mercury Diamond™ Price List, click here. Currently, we publish the price list on the tenth of every month. It is also available as a ticker. 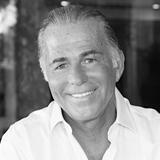 When we take into account the difficulties in demand for diamonds in the consumer market, the shortcomings of the current price setting systems available for diamonds, the need to improve consumer confidence in diamonds while addressing consumer confusion over prices of polished diamonds, and the possibility of forming a wealth preservation venue with diamonds, it becomes clear that a transparent pricing system that addresses all of this is in urgent need. I therefore invite you to consider the Mercury Diamond™ price list as an important step forward.